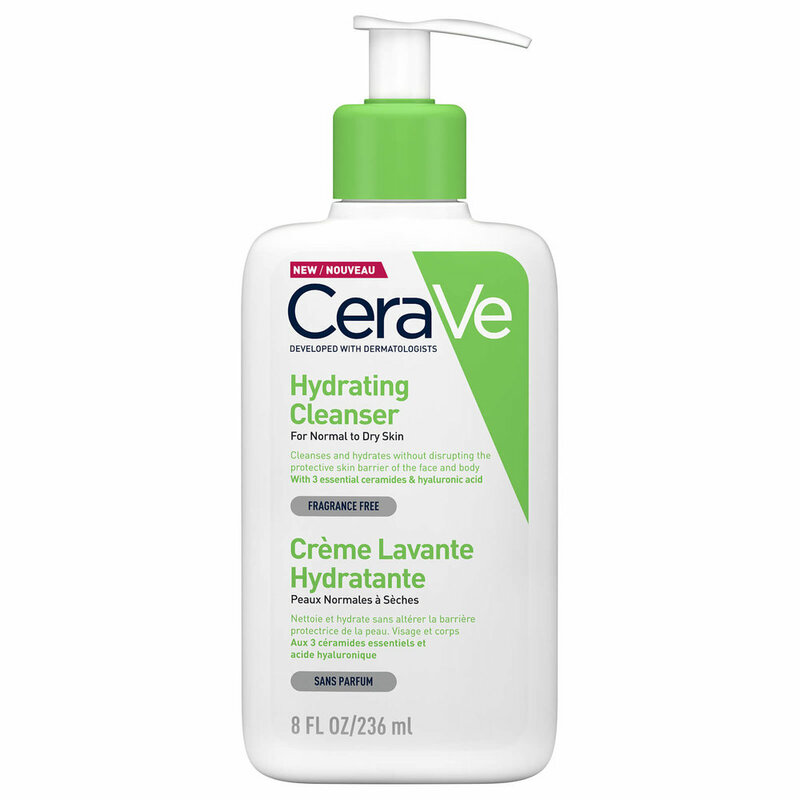 Man, this cleanser is so damn good. It is often compared to the famous Glossier Milky Jelly Cleanser, but I actually prefer this drugstore option so much more. I’ve used many cleaners in my day, and this is by far the most gentle I have come across. The texture is a creamy-gel, and it offers the most delicate cleansing experience as it does not foam or strip the skin at all, and is also packed with skin-loving hyaluronic acid and ceramides. After rinsing, my skin isn’t left itching for hydration, but rather it feels calmed and moisturized. If you weren’t already sold, I should also tell you that it comes with a pump, is completely fragrance free, and is under $15. This is the facial mist to end all facial mists. It goes way beyond your standard rosewater spray and delivers the powerful results which serums and treatments usually bring. This product is ideal if you have been on the hunt for a gentle and nourishing toner, though, to be honest, all skin conditions can benefit from it. I know the price is steep, but it is completely justified in the quality and in the ingredients list, which features (!!!). The mist on this is also insane. It is so fine and delicate, never depositing too much product to overwhelm the skin. I recently emptied my bottle, and my skin has been craving it like crazy since. I find myself reaching for this bad boy whenever my skin has been feeling overly sensitive. Like when I’m sunburnt, suffering from allergies, hungover, you name it. Just slather your skin in this creamy goodness, and all your woes are instantly erased. Free from nasty ingredients that will flare up any skin issues, this mask can literally only do you skin good. This is probably in my top fave favourite products of all time, simply because of its amazing multitasking abilities. Not only can this be used as an incredibly effective hydrating serum, but it is also great for mixing into other products to make them more hydrating and gentle. If you have been suffering from skin sensitivity but are skin wanting to try active ingredients, such as AHA, vitamin C, or retinols, I highly recommend mixing in the b-hydra to dilute the formula, making it more gentle, hydrating, and all around, more user friendly for sensitive skin. When my skin is in the wars, like maybe I overdid it with the acids or forgot to reapply sunscreen, I know that my skin barrier is compromised. The beautiful oil-serum blend by Paula's Choice is my go-to for when this happens, as it is packed with all the essential fatty acids and antioxidants needed to repair the skin. Jojoba oil, apricot kernel oil, cranberry seed oil, borage seed oil, and ceramides are among the stellar ingredients inside this small but mighty bottle. The consistency is light and easily spreadable, and leaves the skin feeling nourished and soothed.